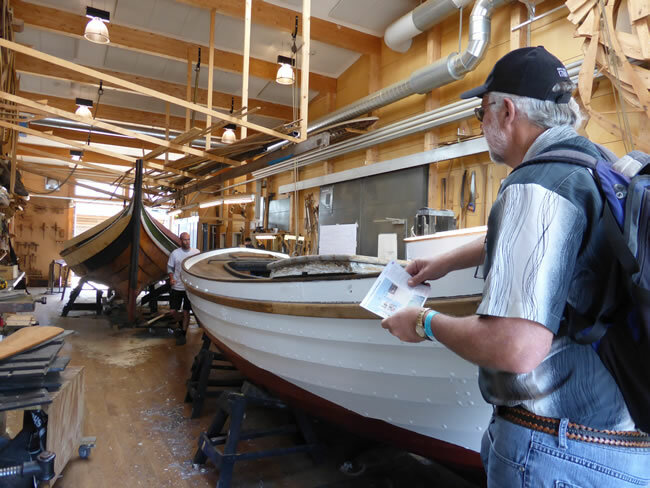 They reconstruct full scale ships at the Viking Ship Museum Boatyard here in Roskilde Harbour. They do this using the details that they have uncovered from various archaeological sites. We can read about that when we visit the traditional museum, next door.